I have been a teacher for 25 years, a Headteacher for 10 years and, at the age of 49, this much I know about the choice facing school leaders. Nearly every worthwhile thought I have is derived from something I’ve read. 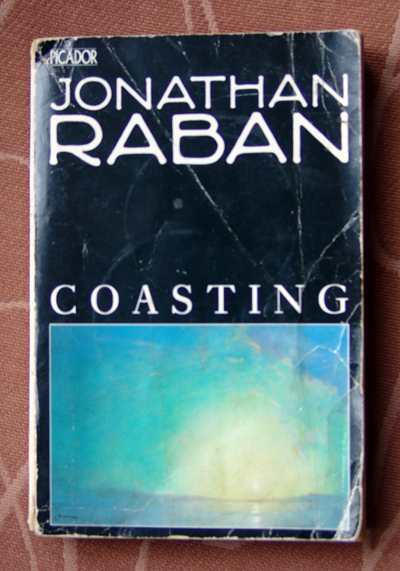 Written as a travelogue, Coasting describes Jonathan Raban’s single-handed 4,000 mile voyage around Britain which he made in 1982 in an old restored 32-foot sea-going ketch, the Gosfield Maid. His story takes various digressions, just as his journey does, as he mulls over his childhood as the son of a vicar in the Church of England, and the current state of Britain under Margaret Thatcher during the time of the Falklands War. It’s a great read. When the Manx came to define their own national identity…they did so in entirely negative terms. What was so wonderful about being Manx? The Manx did not get above themselves. In a fortnight of knocking about on the Island, I heard the same story three times. Each time it was told slightly differently and set in a different location, but in essence it was the same – a cogent, and depressing, statement of what it is to be an islander. The scene is the quay at Peel, or Port Erin, or Laxey. A fisherman has just unloaded from his boat a shallow bucket full of crabs. 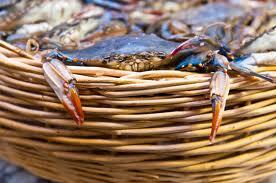 All around the edge of the bucket, the crabs are showing their claws and trying to scramble out. A comeover* approaches the fisherman and tells him he ought to get a bigger, taller bucket, or he’ll lose half his crabs. The story always ended in a wheezy burst of self-congratualtory laughter. To tell it was to demonstrate that you were a cynical Manx realist. It was a fine and flexible story. You could use it indiscriminately against Manxmen who talked about leaving the Island and going Across, against comeovers, against anyone who got ideas above his station, against anyone vain and ambitious enough to pursue an ideal of excellence which wasn’t recognised by the Island. The story in itself consituted a first-class argument for staying put and saying nowt. Either that, or be thought pretentious by the gang and get dragged back into the bucket. The tellers of the story always happily identified themselves with the gang. This country’s school leaders have a choice. Do we remain Islanders or do we have the courage to pursue an ideal of excellence which wasn’t recognised by the Island? Help shape the Headteachers’ Roundtable Education Election Manifesto. If you would like to attend the next meeting of the Headteachers’ Roundtable on 4 February 2014 at Huntington School, York, please contact k.barnes@huntington-ed.org.uk. All welcome! Thank you! Thank you for sharing this open & honest truth. Thank you for all the ‘…things you know.’ These are things that we should all hear and talk about instead of all the media and government empty hype!